With Art Museum Image Gallery comes the rights to use images by pasting into ppt files or course management systems. In Archives of American Art, click on "view larger image" to obtain copyright information. May have to link to images in some cases, rather than pasting image object into instructional materials. Coverage: 3000 B.C. to present. AICT certifies that the image copies provided hereunder, the originals being the copyrighted intellectual property of art historian and photographer Allan T. Kohl (unless otherwise credited), are licensed for non-profit use as set forth below, and that the art and architectural works documented are, to the best of its knowledge, within the public domain. Whether using Flickr or fotopedia or Pixabay or Google Images, stick with Creative Commons search interface unless you are willing to contact the creator or pay Getty Images because there are fee-based images in Flickr. You do this by going, not directly to Flickr, but rather to Creative Commons search and then choosing Flickr (or Pixabay) on the search screen before running the search. If you are unprepared to pay, stay away from rights managed material and that means to do exactly as above in order to find only works that carry a CC licenses. These require an attribution to appear in the web page or publication and a link to the CC License statement. Depending on the CC license they may be other limitations such as no right to modify the item. Here is one example of a CC license CC BY-NC-ND 2.0 You get to it from within Commons by clicking on "some rights reserved" when you view the full image. I know of schools where teachers thought they were safe in Flickr only to have Getty come after them for images found on their teaching web sites. Be wary of Flickr Select images that appear in your open searches of Flickr, as they are Getty Rights Managed photos. Getty is a partner of Flickr and they recruit images through Flickr. Combination of public domain and creative commons licenses. The cost of a 300ppi image can run $200-$350. Some royalty-free photos are available through Getty's image services, but they charge for the file itself. Ask your publisher for these specs. Image providers will want to know many of these before they set the price. 300 ppi and jpg or tif are typical requirements of publishers. PPI or "pixels per inch" is a term that most often indicates the resolution of an image file. Your 6 megapixel camera produces a 3000 x 2000 pixel image. That 3000 x 2000 pixel image will be 300 PPI only if displayed/printed at a size of 10 x 6.67 inches. Google is not going to help you enough. Beyond presenting you with an image and a link to web page(s) where it appears, there is still work to do. You will have to dig a bit deeper to find out if you can use it. The image file you find on the open web will create a lot of work for you. It may not meet the specs required for print or digital publishing. Make no assumptions about rights and permissions regarding art work or images. You may not be able to use it. Library of Congress, the New York Public Library, Digital Public Library, and museums and archives the world over can be great sources of images, but they do not necessarily have the rights to the artwork just because they own the work itself or display an image of the work. The onus is on the author and the publisher to determine who has the rights to an image (or whether it is in the public domain), if they'll grant permission to use it for your publication, and at what cost. Save all correspondence with rights holders and present it to your publisher. A Google reverse image search is much more effective than a Google search of images. The goal is to find sites that include the same picture and hopefully discover the institution that holds the original work or who created the work or both. Save the file you found online to your computer. 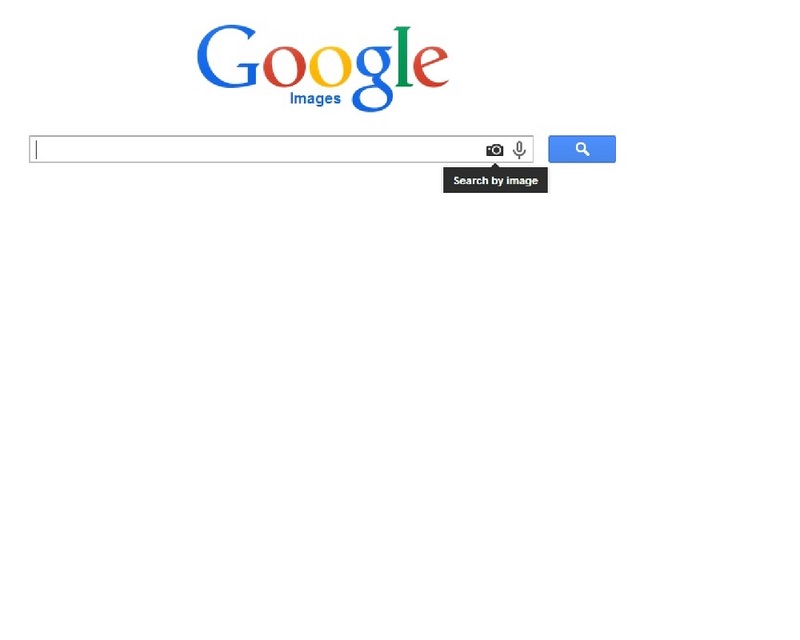 Click on the camera icon in the Google Image Search box and upload that file and search it. Final attempt is always to find an image in a book and check the attribution and information given in the book and go from there.